The best Scrambled Eggs with Oven Roasted Onion and Chive Potatoes! 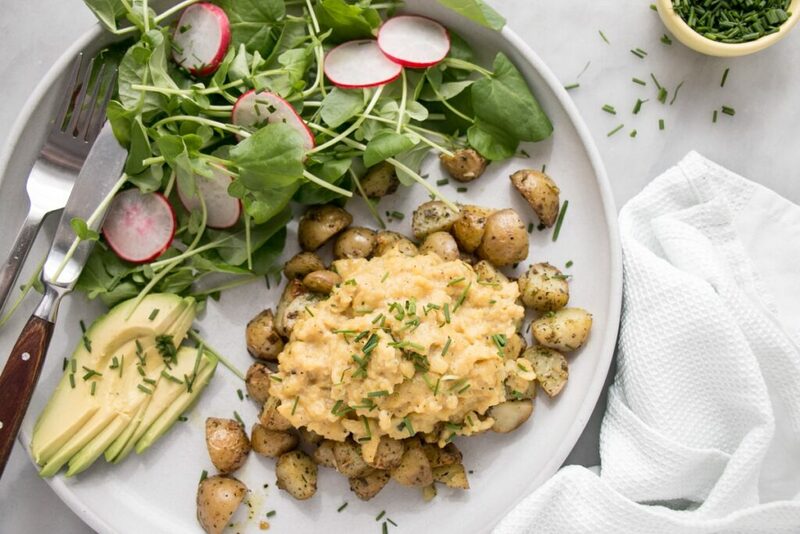 A dreamy breakfast with a soft scrambled eggs recipe and heavenly roasted potatoes. 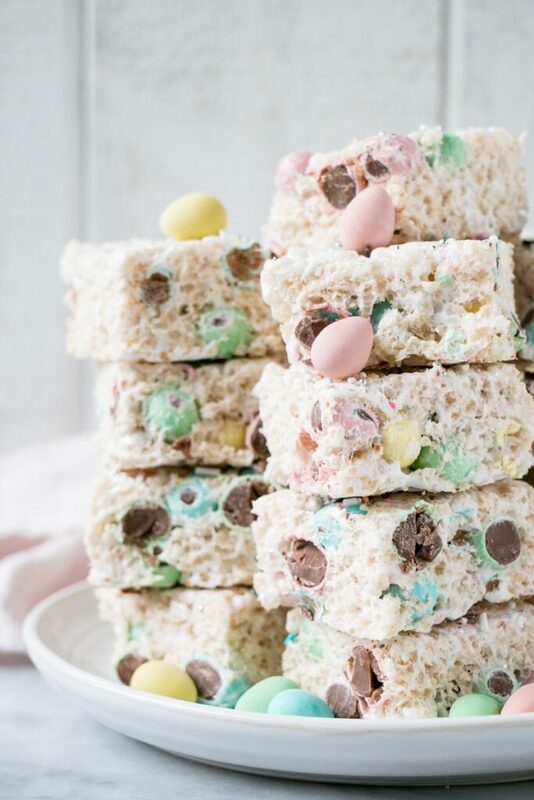 These Mini Egg Rice Krispie Squares are the easiest Easter treats! 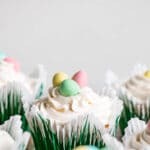 4 ingredients and 20 minutes is all it takes to whip up a batch these of fun and festive treats. 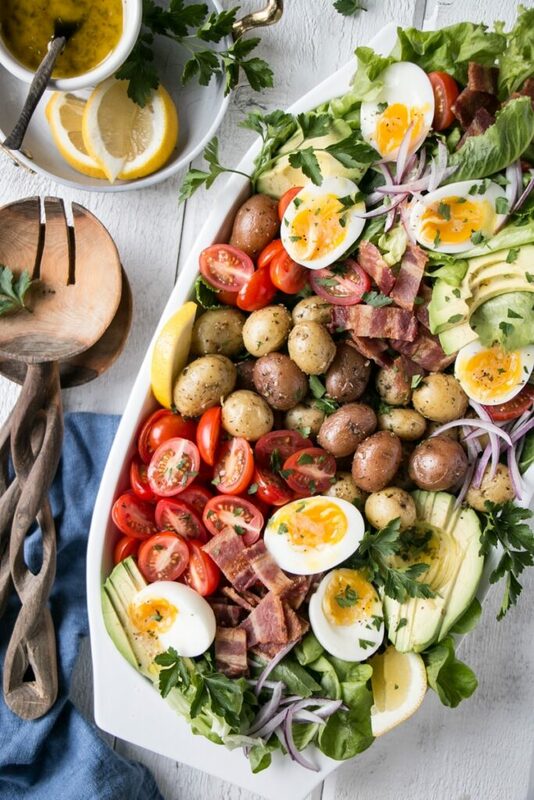 Crowd-pleasing healthy and hearty Potato Cobb Salad with a Savoury Herb and Garlic Dressing. 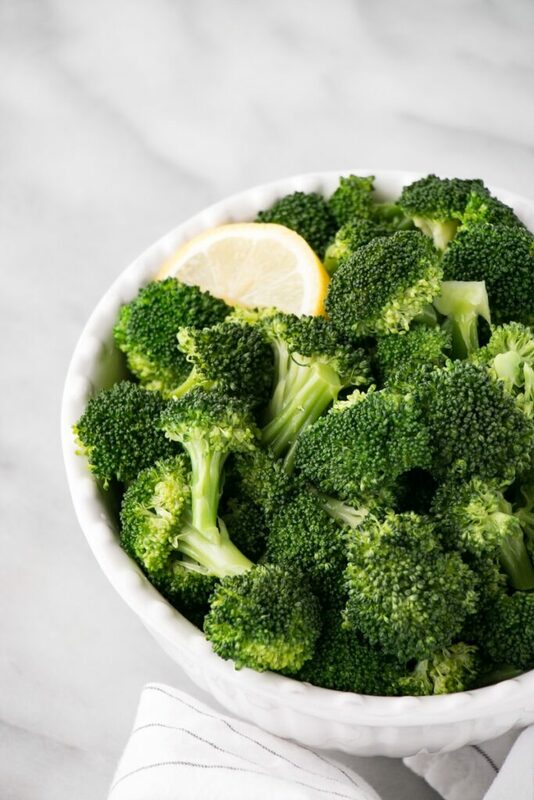 A few tips and tricks for easy prep and quick clean up with this healthy Cobb Salad recipe. Crispy duck surrounded by sublime ramen noodles, vegetables and a heavy sesame flavour. 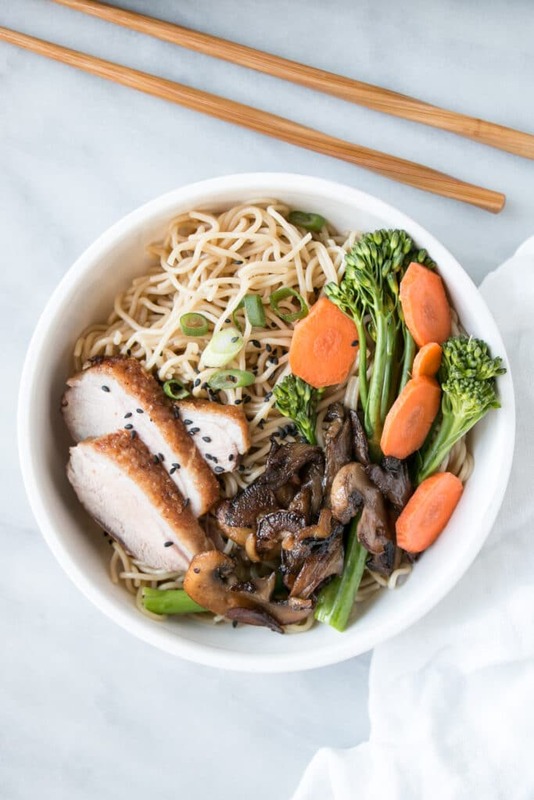 Jump into a cozy bowl of sesame noodles and lots of tips on how to cook duck breasts. 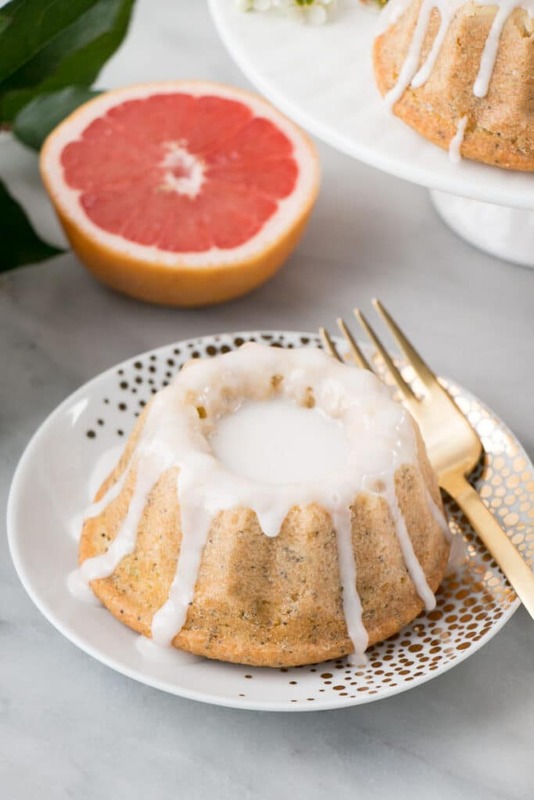 Grapefruit Poppyseed Mini Bundt Cakes are a snap to whip up. Pretty with light pink hues and a deliciously bright grapefruit flavour. 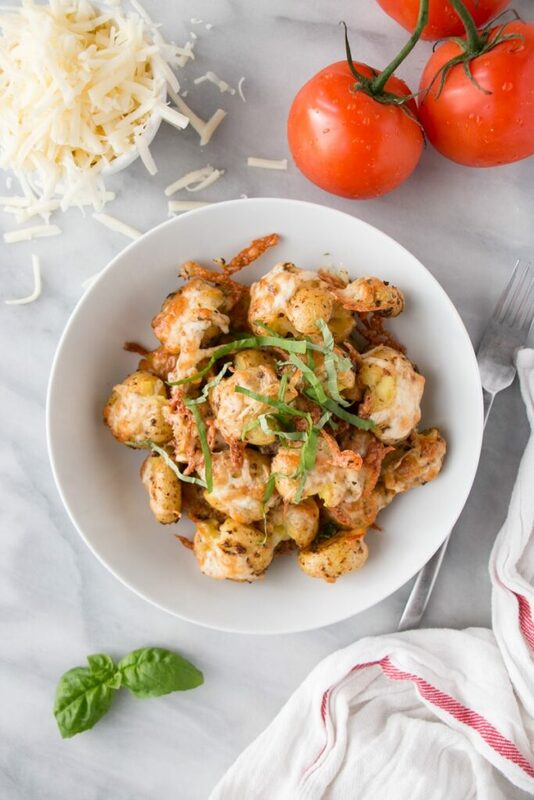 Cheesy Tomato Basil Smashed Potatoes are a potato lovers dream! Bursting with Tomato and Basil flavour and topped with melted mozzarella cheese. 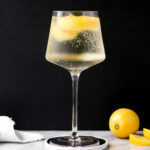 AND, these delicious bites come together in 20 minutes! 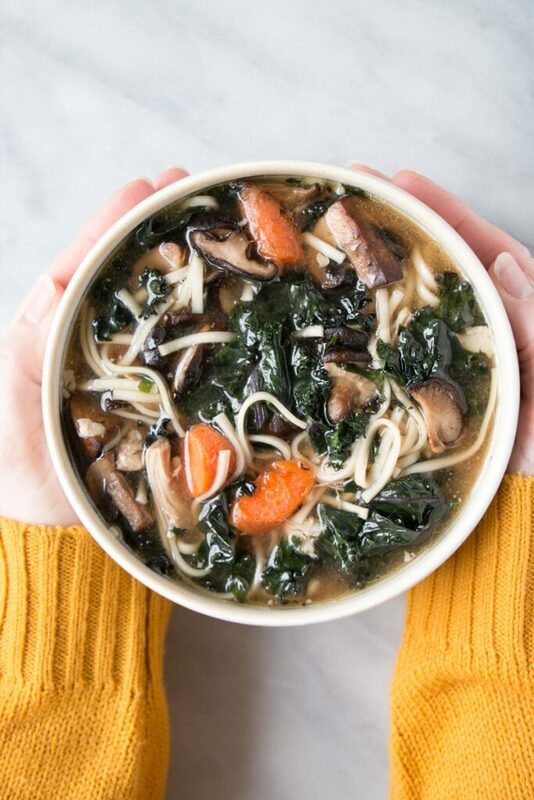 Homemade Chicken Noodle Soup from scratch is difficult to top! Add some miso paste it is a flavour bomb! 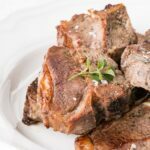 Try this delicious comfort food recipe today. This Spicy Crispy Tofu with Soba Noodles is hearty and satisfying. It’s an easy tofu recipe that’s irresistible. 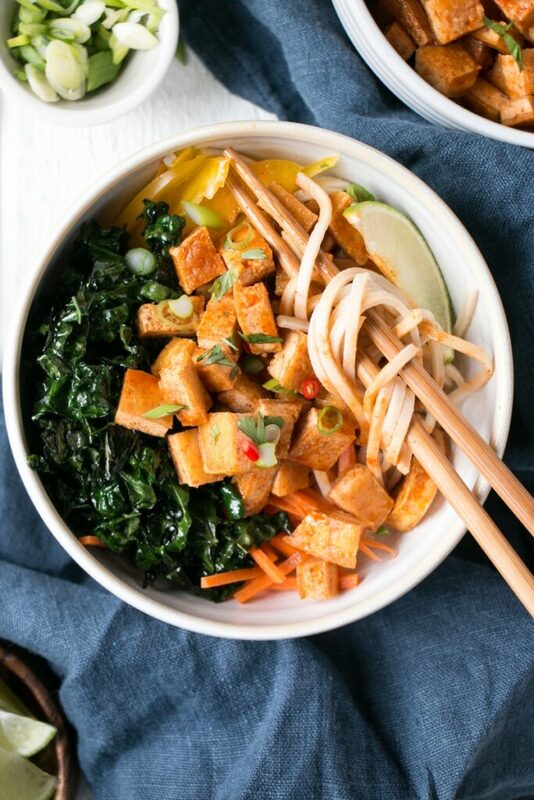 Crispy fried tofu with protein-rich soba noodles is a great vegetarian meal loaded with healthy plant-based proteins. This Yellow Dal recipe is a cozy and satisfying Instant Pot vegetarian recipe. 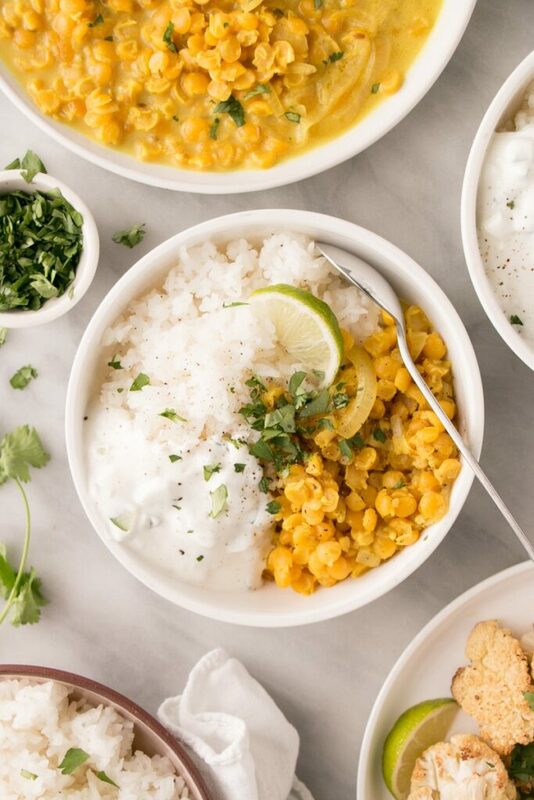 A family favourite where we mix up the dal, rice, and yogurt for a nourishing and fulfilling meal.